It’s such an honour to see this quilt hanging at the Canberra Craft and Quilt Show this weekend. The maker, Tracy, took a class with me where she challenged her perfectionist self to embrace improv, just for a day. It was a big ask for her and I’m just like a proud mama bear to see this finished! Teaching people to make quilts is such a rewarding experience and I can’t thank all my students enough for trusting me to take them on a journey. 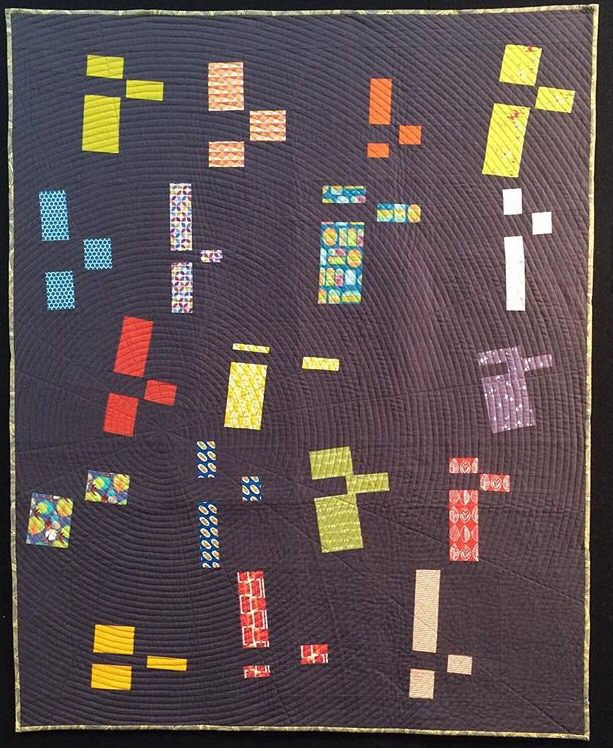 This entry was posted in improv, quilt, quilted, quilting, scrap quilt, Teaching and tagged class, improv, procrasticraft, quilt, quilted, Quilting, workshop on August 8, 2015 by procrasticraft.